When ringtones and vibration alerts miss the mark and fail to grab your attention, causing you to miss an important call or text, LED flash alerts are a great backup plan. While we already showed how to activate this on Samsung devices, the apps shown below make this feature easier to toggle on and off. Plus, they work on devices that don't have flash alerts included in the system settings. 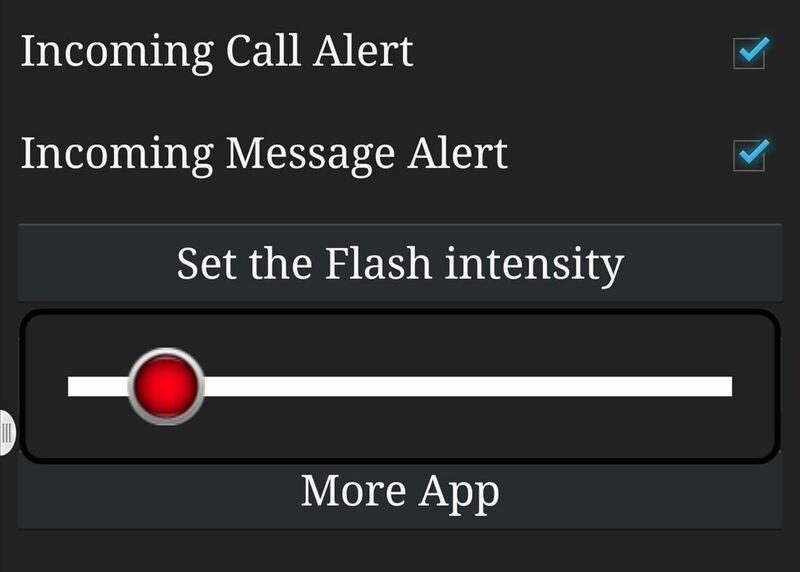 My primary app of choice is called Flash Alerts on Call and SMS by Flash Alerts Project, and it's been updated with a Material Design for Lollipop and includes a unique feature similar apps don't have. 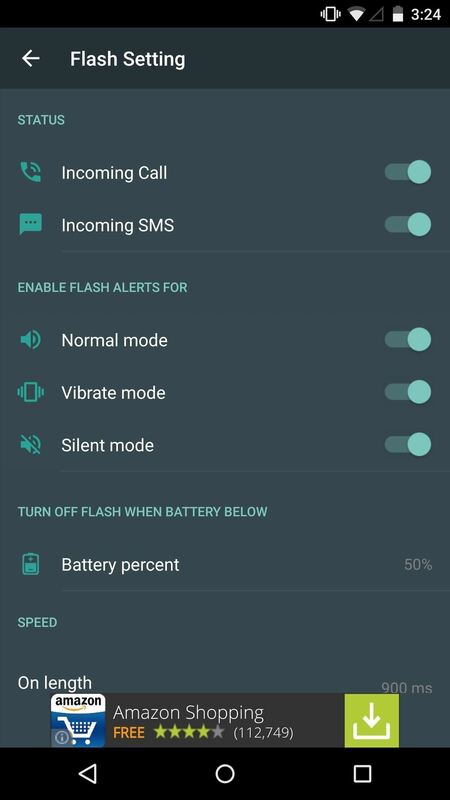 Within the app's settings, you'll be able to toggle on flash alerts for incoming calls or SMS, and you can also enable flash alerts for different sound modes, like normal, vibrate, or silent. 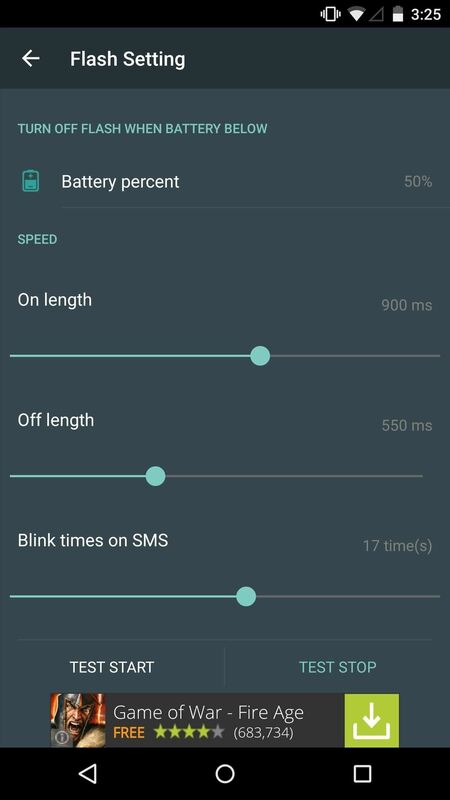 You can also adjust the speed of the flash. 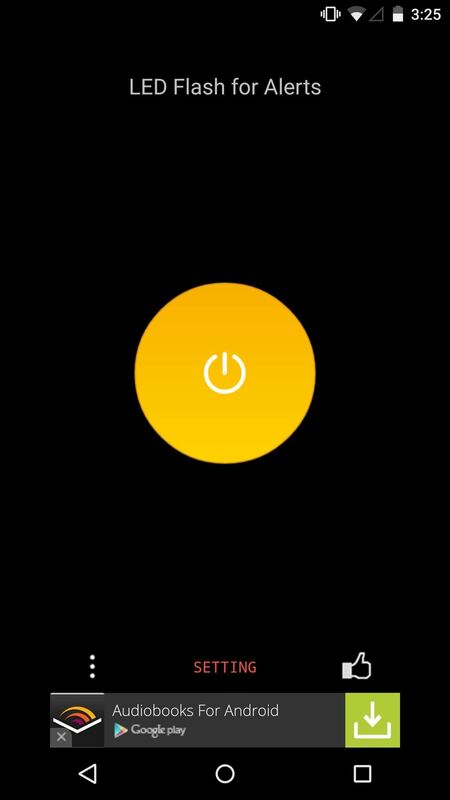 The real star of the show, though, is the unique feature that lets you set a specific battery percentage that will activate the flash alert, providing you with a clear indicator of when it's time to plug your device in. Admittedly, plenty of Android devices already have LED flash alerts available within their settings, but this app makes it easier to toggle it on or off when you need it, and the battery percentage alert is a nice touch. Although Flash Alerts on Call and SMS is a great app, it doesn't work for certain devices, namely the Nexus 6, which doesn't have a flash alert option within its settings. After testing various apps, one that worked well for the Nexus 6 was Flash Alerts on Call & Sms from developer Tool Boy, which was initially released before the app above, though, it hasn't been updated with Material Design. The interface may seem a little outdated, and this app doesn't include a battery percentage alert, but it works where others failed me. The app also doesn't include extensive settings with various preferences. Hopefully the first option works well on your device, but if it doesn't, try the second app and quickly enable LED flash alerts whenever you think you'll need them.